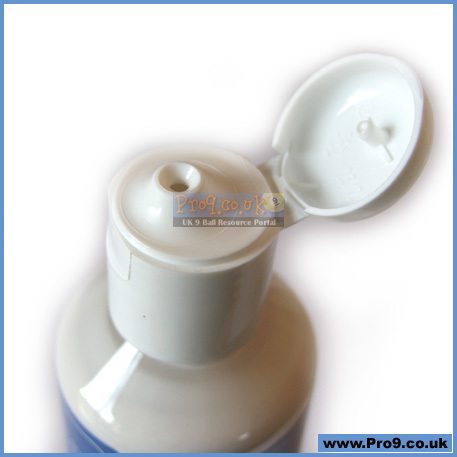 Specifically for regular use (use after every session). 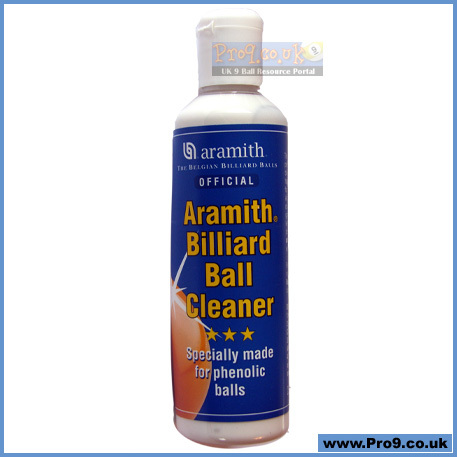 This liquid has been developed by SALUC SA, the Belgian billiard ball manufacturer. 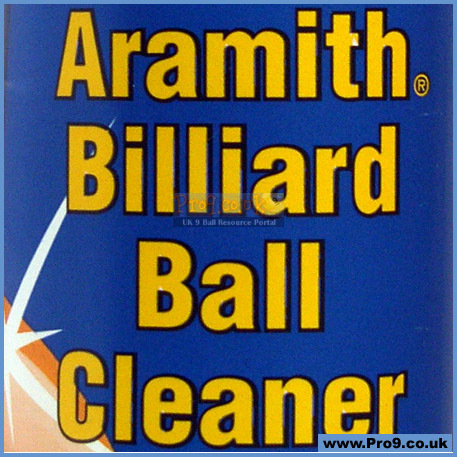 It has been specially conceived for regular use to maintain optimal performance on Aramith phenolic balls. 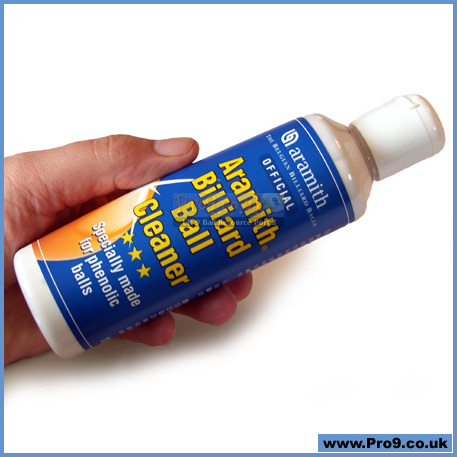 With this programme you will keep your Aramith phenolic balls polished, lustrous and anti-static throughout their exceptionally long service life.